Matisse – It is WordPress theme which allows you to showcase all your work in a very creative manner using portfolios. hence this theme uses all the features which are required for designing the portfolio theme. Hence it uses very clean design. The theme can be customed to change the look and functionality as per the user need. It is suitable mostly for – Photographers, conceptual artists, designers, architects. 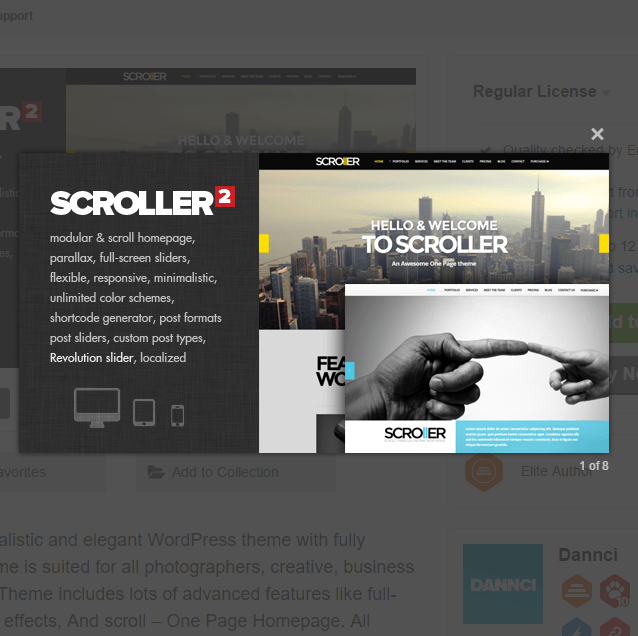 The theme makes the use of bigger projects and sliders for larger high resolution images. It comes with different menu styles such as default static, top slide, right slide, fullscreen. Great support for customization, it can be said endless possibilities are there. 6 portfolio grids such as one, two, three, four columns and portrait and masonry. featured works can be shown with the help of featured work slider, you can present your work through case study or slider presentation. More features : Post formats support : standard, image, gallery, audio, video. Translation ready theme, uses 4 different styles of header, google fonts, 12 page templates such as Default, About, About me, Blog, Clients, Contact, Home, Services, Team, Team 2, Testimonials, Works, Powerful Option Panel(Theme Settings, Header, Footer, Branding), Build with Bootstrap 3, masonry, animate.css, Royal-slider,2 Logo Types (Image, Text), 2 Skin types (Light, Dark) etc. I like artwork and creative designs, I was just browsing for themes and found this Portfolio themes, after having deep understanding about this theme, i really assure you to have it for your website. Empro is a creative portfolio theme.